It’s time for class again! 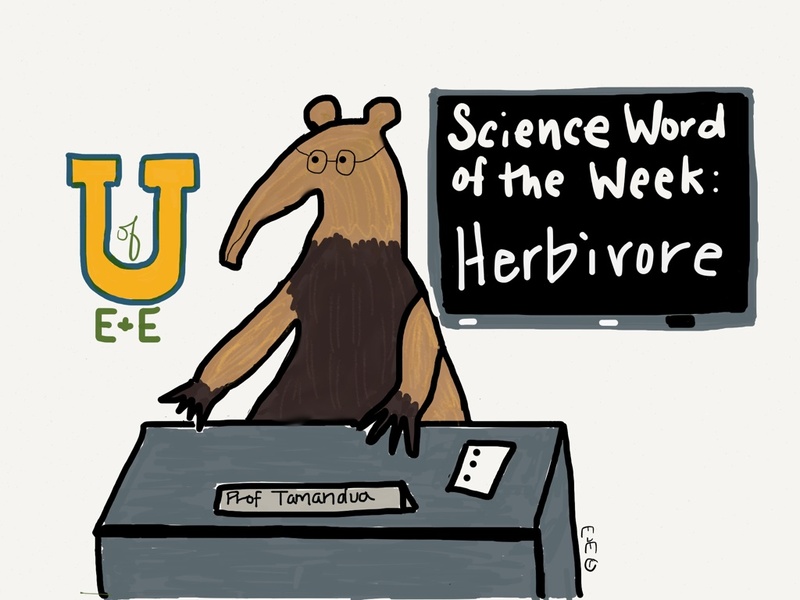 We learned what carnivore is last week and today we’re talking Herbivores! An Herbivore is an animal that only eats vegetation and or plant material. Ellie and Edmond are both herbivores! Herbivores come in all shapes and sizes! They can eat everything from grass, roots, bark, seeds, flowers and fruits. Which herbivore is your favorite? I like giraffes! They have long tongues and necks that help them reach the leaves that no other animal can eat! Neat! 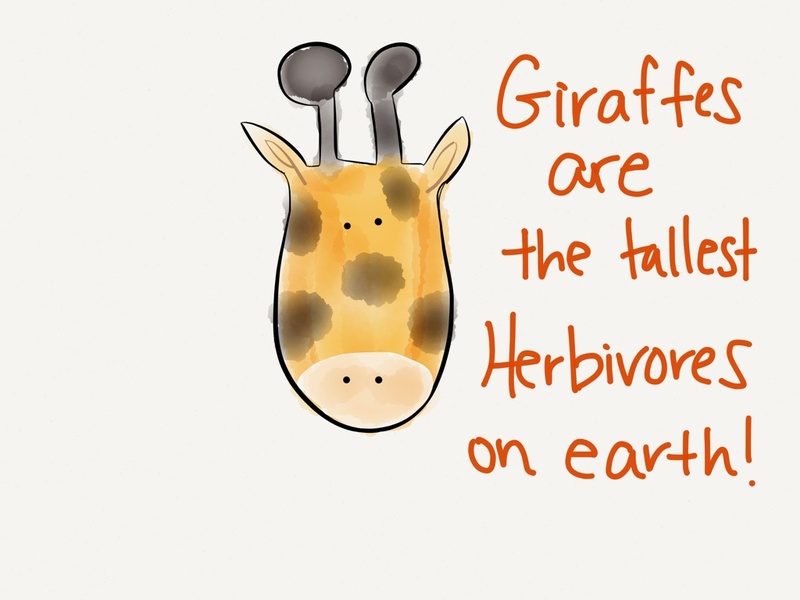 If I were as tall as a giraffe, forget the high leaves – I would be able to reach the garbage pail and get some good stuff in there! Hehehe! You would be cute as a giraffe! I love the giraffe picture! It’s so cute. I don’t know if I have a favorite herbivore. Thanks! It can be hard to pick favorites!